Sikh community is known for its selfless service for the betterment of humanity. Whether it is about opening its doors to those caught up in the Manchester terror attack or feeding the Rohingya refugees or offering Gurudwaras for Eid Namaz during the floods in Dehradun or sending food relief to victims in post-earthquake Nepal or disaster relief in Albania, Turkey, Somalia and Pakistan, Sikhs from all over the world provide humanitarian services in the form of not only immediate aid but also rehabilitation for the needy. Free langars (meals) are served at all Sikh Gurudwaras, wherever they may be in the world. Few days ago, the Sikh community in Mumbai opened its Gurudwaras for cancer patients and their relatives who come to the city for the treatment. Patients and family members are accommodated in around five Gurudwaras and given four meals a day. “We had observed that patients and their relatives who can’t afford to stay in the city sleep on the streets near the hospitals. We opened the doors to them, and that is how the initiative started,” said Manmohan Singh, general secretary of Sri Guru Singh Sabha, Mumbai (Dadar Gurudwara), the apex body of Gurudwaras in Mumbai. 12 November 2019 marks the 550th birth anniversary of Guru Nanak Dev. They intend to increase this to 550 beds to commemorate this special occasion in 2019. The Gurudwara committee is in the process of introducing recreational activities and counseling sessions for these patients in order to build a healthy environment for patients to recover faster. 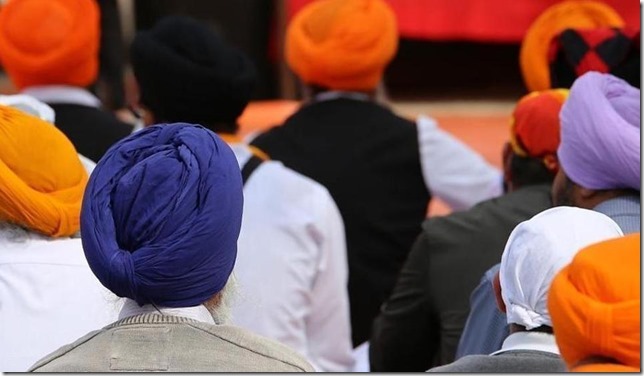 Today when religion is being misinterpreted and misused to disrupt peace and inflict misery upon others, Sikh community instills our faith in humanity. 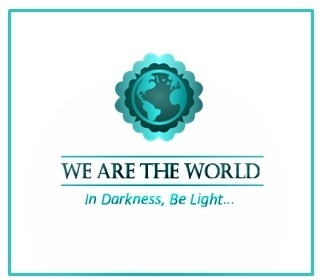 This post is part of the We Are the World Blogfest, a monthly event created by Damyanti Biswas and Belinda Witzenhausen to showcase stories of hope and light. This month I’m helping out as a co-host, along with extraordinary bloggers Peter Nena, Andrea Michaels, Inderpreet Kaur Uppal and Damyanti Biswas —please hop over to check out their WATWB posts as well as from other WATWB participants for a dose of feel-good to last you a whole month. You’ll be happy you did! This is really great. As you said, Sikhs do lot of selfless service for the betterment of humanity all over the world. True, there are so many stories of their selfless services the world over! Selfless works like this do restore my faith in humanity. Thank you for sharing this encouraging post….and thank you for co-hosting! What a noble way to serve the needy. The community has always been known to open its doors for the welfare of people, this just goes one step ahead. True that!! The Sikhs from all over the world practice seva and help serve people in need! I admire this gesture of the Sikhs to open their doors for the cancer patients, something we all need to do in our own small little way to reach out to those in need. Thank you for sharing this post! This is wonderful, Shilpa. It’s a shining example of what religion and faith should always be – not just loving your God, but loving people too, and taking care of those in need. Kudos and many blessings to the Sikhs who offer up their place of worship to those who need help in healing and being there for family. I knew very little about the Sikhs before reading this story. This is how any religion should be lived kindness and compassion towards others of all and even no faith who are in need. 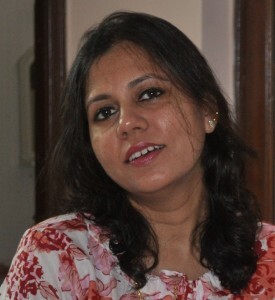 Inspiring story that hit the mark, thanks Shilpa. I don’t know much about Sikhs but what I have read has been about kindness and helping others. Thank you for adding this goodness to our awareness. There used to be Sikh community up in Espanola, NM. I did some computer training for them way back in the day. Nice people. How compassionate to take off the weight of finding a place to sleep or a place to eat for these people while in a strange city for cancer treatment. So glad to read of the Sikh community’s commitment to giving aid, especially to the sick and their caregivers/families. In America, we would celebrate them as being “Christian”! An example of how all the religions can share fundamental and profound values. Thank you for this story! I’ve always loved the spirit of gurudwaras, and have received meals and shelter from one, when I could afford neither. This is yet another instance of their generous service to the community. Thanks for sharing the story, Shilpa, and for being such a dedicated and hardworking co-host. Religion has any true meaning only if it serves people. That way what you have narrated here is a wonderful example of true religious service. This is so inspiring, Shilpa. Kudos to the Sikh for helping out their fellow humans in need, regardless of creed or race. I’d read this story earlier and loved it. This is what we need more of! I always love the efforts done by Sikh community. Great post! I think this is the best seva. During any calamity the community always does its best. Thanks for sharing this initiative for the cancer patients. Such a desperate situation, these families having to sleep on the street while visiting their loved ones in the hospital. It is great to hear about people who see the situation and, instead of turning a blind eye, work to ameliorate it. Wow these are indeed real hero’s! God bless them even more! That’s called true service to Humanity, a religion is nothing but a selfless service and devotion to the lives in this world! I really love it when city folk help country folk who come to the city for medical treatment. This is even more so for such an arduous quest as cancer treatment. Such a great story and worthy post for WATWB, Shilpa. That’s such an incredibly thoughtful and kind thing to do. Thanks for sharing, Shilpa. Such posts and such initiatives really make us believe in the spirit of being human again, after all the nasty things we read and witness via the news and social media.